I wrote a long comment on a thread on Two Peas this morning that talked about being behind on Project Life, and when I hit reply, it vanished. I didn't have the heart to re-type the whole thing. Then I read on a group I'm on a post by another girl saying they were behind on Project Life and asking others how far behind they were. 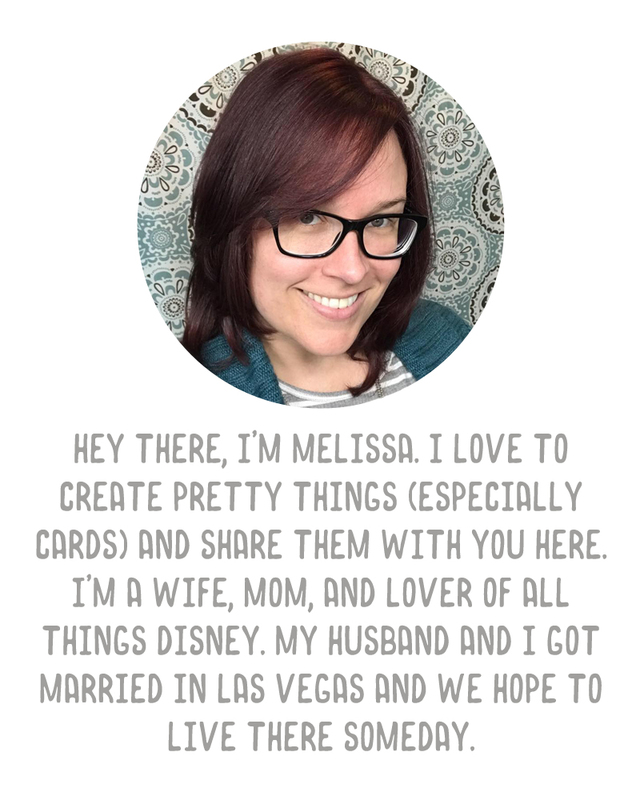 I don't generally (there are always exceptions) see many posts on scrapbook forums from people saying they are so behind in their scrapbooking. Scrapbooking should be a fun, creative way to document your photos and memories. 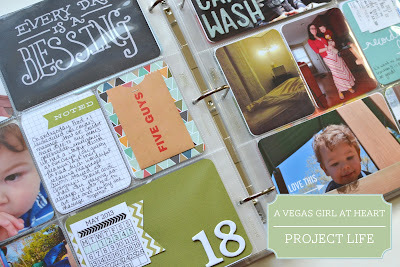 Project Life is another form of scrapbooking. It is meant to be fun and simple (though of course you can make it as elaborate as you like). But please, don't think of yourself as "behind" all the time. Think of it like you're recording your memories and enjoying the process. I feel that the minute you start thinking you're "behind," it becomes a chore to catch up. Then, eventually, you're most likely going to fail. It's like that "catch-all" room in the house, where you just keep piling stuff up while you clean the rest of the place. Eventually, the task to clean and organize that room is so overwhelming you just don't know where to begin and you never get to actually doing it. I don't really mean to rant on this subject or put down anyone's feelings, but it breaks my heart every time I read that someone is 2 months behind at Project Life. I've also read many times where someone just fell (what they consider to be) months behind in a given year because of the summer break or a death in the family or another event and just gave up entirely. I believe in the Project Life method, and I hate to see the sadness I'm seeing when someone is "failing." So please, be happy that you're documenting at whatever pace you're comfortable with. Be excited when you finish a spread, don't think about the other weeks or months or years you have left to pull together. Just plug along, do what you can, and don't keep thinking that you're "behind." ENJOY the process, don't put so much pressure on yourself to stay current. Nagging to-do list items only stress you out. Why make something that should be fun just another chore? That's no fun! Thank you! I also hate to see people get upset that they are so far behind. One of the things I like about Project Life is that it can be whatever you want it to be. Why would anyone want it to be something stressful? If its missing a few weeks here and there its not a big deal. The important part is what IS there. Guilty as charged! It does sometimes end up feeling like a "chore" so I appreciate you putting it into perspective for me! I agree with you completely! We are so hard on ourselves about being up to date. Thank you for taking the time to share your encouraging and uplifting thoughts about Project Life. Well said and I love the part about no one saying the're behind in scrapbooking! Absolutely right! It amazes me that people get caught up in fitting one week's worth of photos and journaling into 2 pages, being behind, rounded or not-rounded corners, and all the other should and shouldn't. Enjoy what you are doing. Thanks for this post. It's helpful to have your voice weighing in on that side of the argument in my head. :) The thing that's hard for me is that my Project Life is for me, and there are equal values to the pleasures of *doing it* and *having it be done* (in the sense of getting to look at it and enjoy it, not in the sense of checking it off the to-do list). So my sense of being behind doesn't come from guilt about not living up to expectations so much as it comes from the big old pile of crankiness I have when life doesn't allow for time to do any of the things that are "just for me." I just wish I had time every week to make my pages! I see an opportunity for reframing how I think about it - I like Pixie's attitude in the comments here, for example - and your excellent post has prompted me to consider ways I could do that. Oh I totally get that. I don't even do mine every week (even though it would APPEAR so from the blog). I actually started posting 2013 two weeks "behind" so that gives me a little wiggle room when working on my layouts. I tend to have more time/desire to work on my spreads in batches or on a day every couple of weeks, so I'll knock out 2 weeks at once, most of the time. But I can still post weekly, if that makes sense! :) It's less stressful than trying to keep up every week like I did last year.